Method Three Events brings your vision to life. Our team creates and achieves the experience you seek. Ranging from private venue management, fundraisers to full-scale outdoor multi-day events. We work with individual, corporate, and non-profit clients to offer a range of planning and design services that fit your needs. In short, we fill your gaps to work with you as part of your team or independently. We are dedicated to bringing your ideas to life. Our packages are custom and specific to your needs. Our team offers a complete, creative and effective solution for private/corporate meetings to turn-key production. We will work with you to define your goals, develop and manage each segment of the event to create without a doubt the “Experience” you seek. When you look good, so do we! Method Three Events is locally owned and operated in Austin. Our team has a combined experience of 25+ years in the entertainment and event industry. 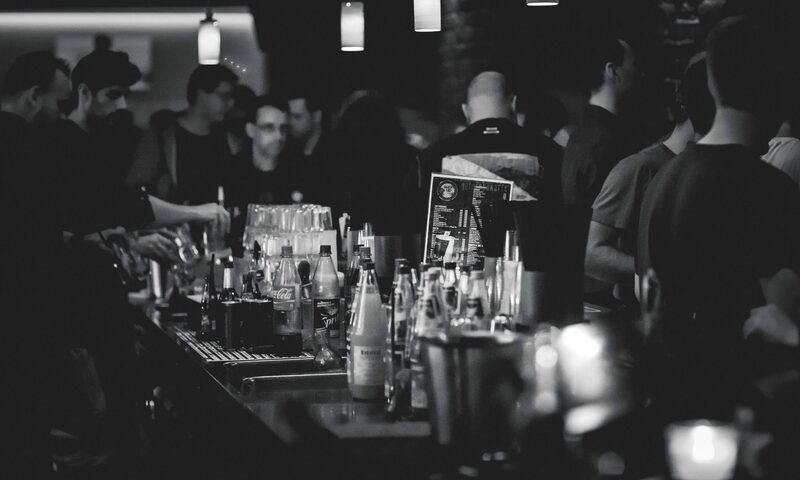 We have extensive knowledge in event production, nonprofit operations | fundraising, hotel | bar management, liquor branding coupled with tasting programs to business operations. Through our experience, we know the inner workings of each industry which allows us to negotiate favorable deals. Austin is a city where people expect an event experience. We understand as that is a representation of our culture, the AUSTIN Way. Our team has extensive experience delivering event solutions to anyone from a large-scale outdoor sporting event to a small intimate networking event. Whatever you Imagine, we can Implement to help you Achieve your goal. We are local. Our team has been involved in the local Austin community for over 20 years with a broad spectrum of contacts and partners that are like family. Through our network, we have the ability to negotiate favorable rates which will be extended to you. We are committed to you. We are passionate about our work and committed to create an eloquent and meaningful experience for you and your attendees. If you look good we look good. Niles is an accomplished entrepreneur with over 19 years of experience in developing hotels and restaurants from franchising, investment, and construction to operation. Currently he operates multiple hotels and restaurants through management companies in Austin, Houston and San Antonio, TX. Due to his love of the nightlife and downtown scene he has successfully developed and operates multiple bars and nightclubs from conception to operation in Austin, TX and Mumbai, India. Niles holds a BA in International Business from UT and JD from the UT School of Law. Mercedes brings over 15 years of operations and event production to the team. She began her career in Miami,FL as the Director of Operations at a Spanish language sports network. She moved to Austin (before it was cool) in 2005 to escape the fast-paced lifestyle of Miami. Upon arriving in Austin she quickly fell in love with what Austin stood for and began working nonprofit. Her nonprofit experience extends from Integral Health, The Austin Area Urban League, Greater Austin Hispanic Chamber of Commerce, American Diabetes Association and Bike Austin. In her prior roles she was charged with operations, budget management, launching new programs and special events from creation to execution while overseeing staff. Mercedes brings strong fundraising skills to assist in sponsors recruitment and activation. Additionally, Mercedes is a proud mother of two children, Xavier (23) currently serving in the U.S. Air Force and Sulema (10) who will probably be creating her own designs before entering High School. When not working, Mercedes can be found on her bike around town/area trails or cooking a meal for her family. Nicolia is founder and principal of PRIME|PR and has more than 20 years PR experience in the CleanTech, telecom, unified communications, VSAT, network management, managed service provider and semiconductor markets. Prior to founding PRIME|PR and partnering with Method Three, Nicolia served as a senior vice-president at Blanc and Otus and the US Lead of the Ketchum Global Tech Practice. Before moving to PR, he was also a telecom analyst and the founder and chair of Austin’s NxGen Communication Forum. Shruthi is a social media guru that brings years of experience to the team. When it comes to digital marketing, Shruthi is the one who can do it best. She succesfully runs her own blog, thehonestShruth, and has worked alongside many brands to help them grow their digital presence and reach unique contact points. Shruthi is excited to join the Method Three team and utilize her digital talent. When she is not creating viral content, Shruthi likes to try new restaurants, travel, and spend time with her husband and their dogs. We are consistently looking to expand our venue list. If you are interested in working with us, or have us represent your venue please let us know! Want us to create a virtual tour of your venue, we can do that as well! Complete form below and we’ll be in touch.